Newly arrived Education Secretary John B. 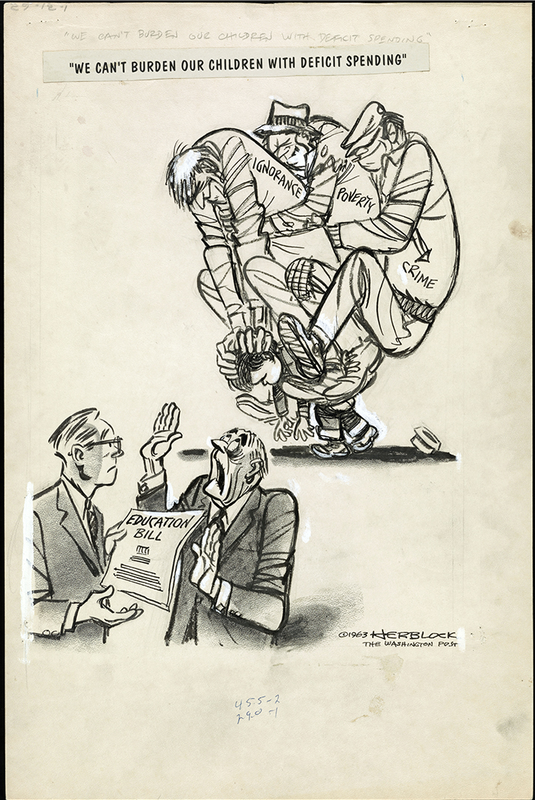 King, Jr., is in hot water with Congress, state governors and various school reformers. The Department of Education is moving forward with rules that would turn the Every Student Succeeds Act’s “supplement not supplant” provision into a cudgel to force states to equalize school spending. It’s easy to see why folks are ticked. Not least, there is the fact that the ESSA took years to negotiate and a ton of time was spent building a bipartisan coalition to support the legislation. President Barack Obama signed it in December, and a mere three months later, the department jammed a finger in Congress’ eye with its rulemaking, which splits supporters of the ESSA. This was the context for his push for the Elementary and Secondary Education Act of 1965, which was a key part of Johnson’s anti-poverty program. Note: A version of this article was previously published by Politico on March 17, 2016. Should school kids have more fish on their lunch trays? That is just one of the questions that will need to be settled before the National School Lunch Act is reauthorized. Republican Senators Dan Sullivan and Lisa Murkowski —of Alaska, not coincidentally— think they should. They introduced their salmon-for-school bill in late February. The law currently defines “domestic commodity” to mean “an agricultural commodity that is produced in the United States” and “a food product that is processed in the United States substantially using agricultural commodities that are produced in the United States.” S. 2529 would expand this “buy American” provision to also mean “a fish or fish product” harvested the United States’ “exclusive economic zone,” much of which surrounds Alaska. Sen. Murkowski with a salmon. If adopted, the measure would force local school officials’ to purchase fewer fish sticks from foreign waters. With 30 million children participating in the $13 billion lunch program, the fish bill could be a windfall. “I’m proud to join my colleagues to support this legislation, giving us the opportunity to put more of Alaska’s world-class, sustainably-harvested seafood onto the plates of America’s youth nationwide,” declared Murkowski. This and many other 1990s-era NEGP studies are available at http://govinfo.library.unt.edu/negp/reports/goal3_98.htm and http://catalog.hathitrust.org/Record/002579549. 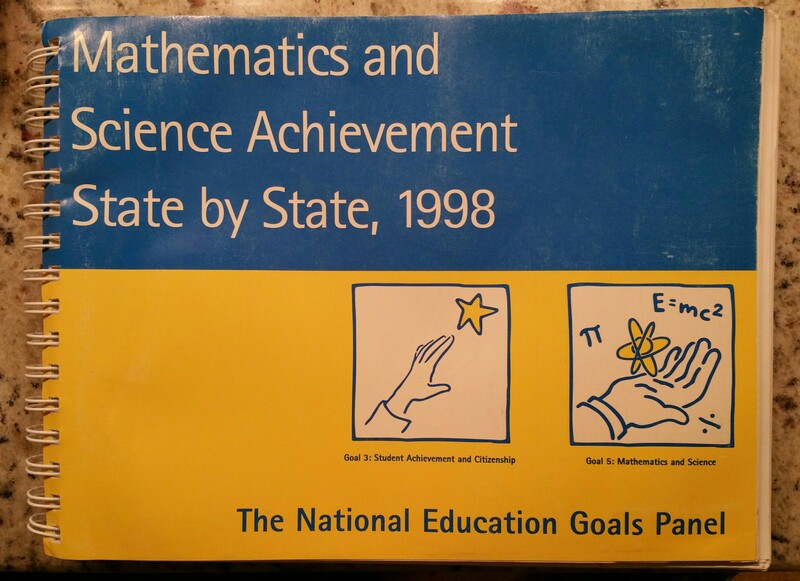 For background on NEGP, see https://federaleducationpolicy.wordpress.com/2012/02/24/the-national-education-goals-reports-1991-1999/. 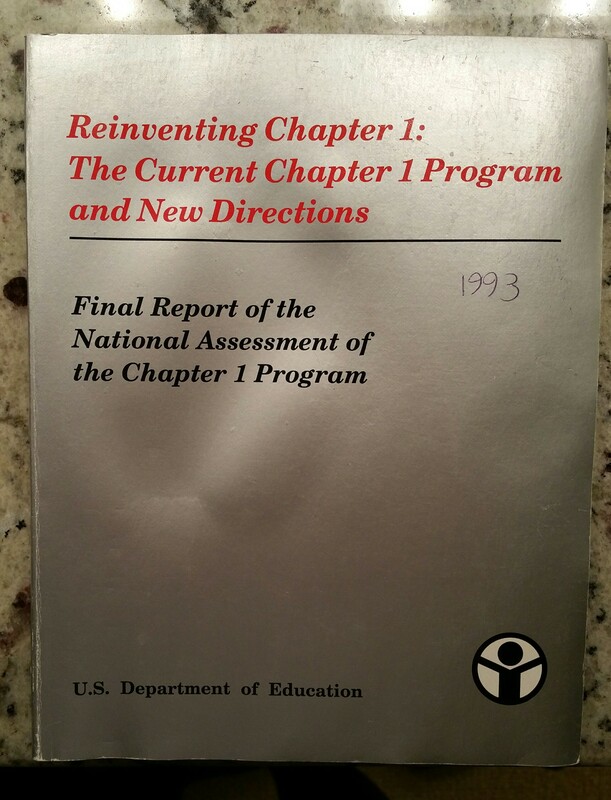 The full title of this important 1993 Department of Education study is: Reinventing Chapter 1: The current Chapter 1 Program and New Directions: Final Report of the National Assessment of the Chapter 1 Program. 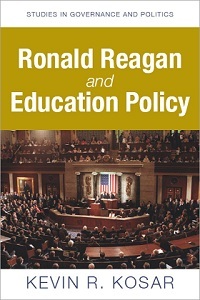 This report examines the Chapter 1 program’s impact at school and classroom levels, strategic directions for Chapter 1 reauthorization, the larger context of school poverty as it influences Chapter 1 delivery, the operation and effectiveness of Chapter 1, and new directions for improving Chapter 1 in line with national reforms. How well Chapter 1 responds to Congress’s intent in 1988 and adds to the educational progress of disadvantaged students is measured against the six National Education Goals. Part 1 compares high- and low-poverty schools in terms of their students’ needs, school service delivery, and school outcomes to establish the context for how Chapter 1 is affected by the degree of school poverty. Part 2 describes current program funding and targeting, student participation and performance, instructional services, schoolwide projects, staff development, family involvement and Even Start, special service arrangements for students in religious schools and migrant children, student assessment and program improvement, and assistance for improved performance. Part 3 describes new policy directions as a framework for reinventing the program. 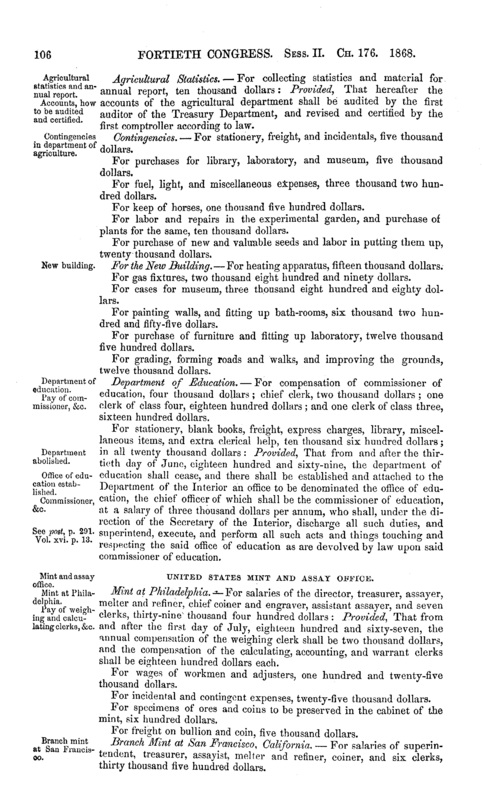 Included are: 53 exhibits; 4 appendixes which contain a list of supplementary volumes to the first report of National Assessment of Chapter 1 Program, a list of studies conducted for the National Assessment, the statute requiring a national assessment of Chapter 1 and a list of independent review panel presenters. Chapter 1 (now Title 1) is THE major federal grant program for K-12, and this report shows how the thinking was evolving towards performance-based ed policy. A full copy of the final report can be downloaded in PDF format at https://ia801403.us.archive.org/35/items/ERIC_ED355329/ERIC_ED355329.pdf. 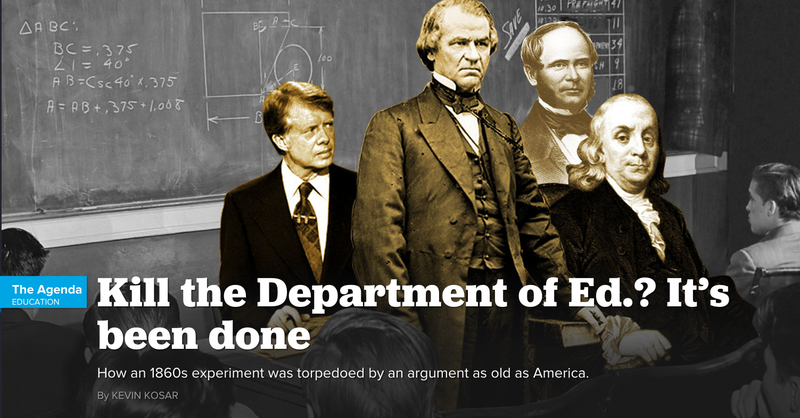 It is a little known fact that the Department of Education was first established in 1867. Rep. James A. Garfield (R-OH) sponsored the legislation. The legislation authorized a mere three employees and its duties were few but not insignificant. President Andrew Johnson signed it.